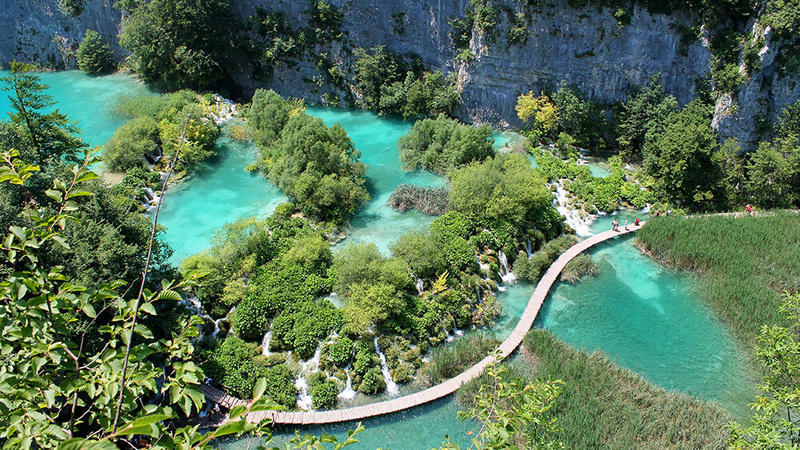 Plitvice Lakes National Park is one of the oldest and largest national parks in Croatia. The national park, which consists of sixteen lakes connected by a series of waterfalls, was founded in 1949 and in 1979 was added to the UNESCO World Heritage register. Plitvice Lakes are located halfway between Zagreb, capital city, and Zadar on the coast and, if you are visiting Croatia, it has to be on your list of places to visit. Be ready for the most beautiful sights, the nature as it once was and as it still should be. Clear water you can actually drink, waterfalls running from one lake to another connected in an amazing web surrounded by forest, wild animals and fresh air, thus creating a wonder of nature – Plitvice. Rich flora and fauna make Plitvice a living nature that will welcome you in its forest paths, meadows and caves. The most interesting inhabitant of the park is famous Brown Bear, as well as various species of fish, birds and other smaller forest animals. Endemic species of plants make the Lakes even more valuable. This unique creation of nature, which appeared about four thousand years ago, attracts a great number of tourists each year. Visitors can explore the lakes and surrounding area by walking along the assortment of wooden walkways as well as boat transfers. For more details about operating hours of Plitvice Lakes National Park it’s best to visit official website of The Park. Every visitor is obliged to purchase an entrance ticket. Entrance prices for Plitvice Lakes depend on the season and group size, going from 8 € in the Winter to up to 33 € in the Summer. The entrance ticket price includes transport with the electric boat and panorama train, within the framework of the selected sightseeing programme, visitor insurance, and the value added tax. All visitors are required to follow the instructions listed on the information panels, to keep on the marked trails, and to leave no traces of their visit, such as litter, or marking or devastating nature in any form. You should also wear appropriate clothes and prepare yourself for weather according to season. Weather conditions in the national park are prone to change rapidly, and therefore, individual trails may be temporarily closed, or vehicles prohibited. Dogs are permitted in the park only if they are on a leash (and must be on a leash also while on the boats or trains). Nearest airports to Plitvice Lakes are Zadar Airport (130 km) and Zagreb Airport (147 km). 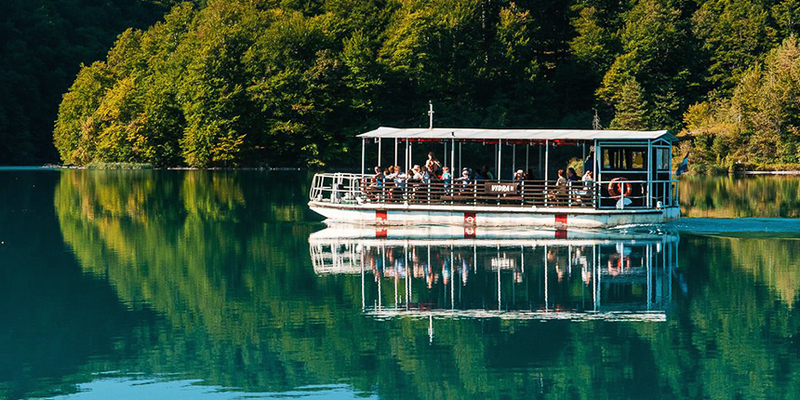 You can the get to Plitvice Lakes by bus or by private car (there are parking lots at Plitvice Lakes). One of the best way to experience Plitvice Lakes is with a guided tour – you do not have to worry about buying entrance tickets, time planning, driving and you avoid communication barriers. 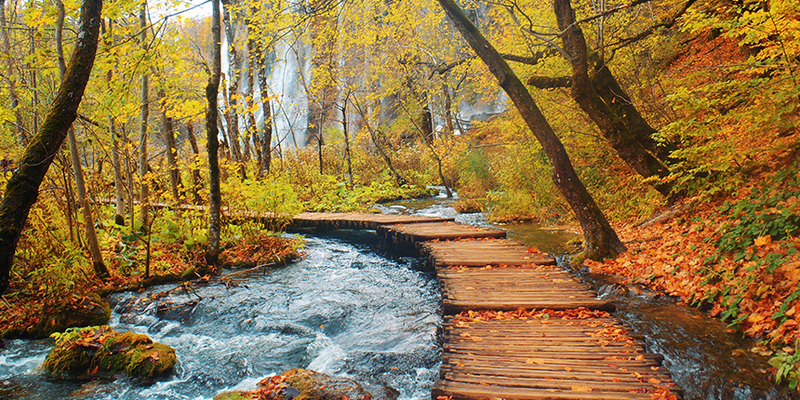 Private guided tours will ensure you see the best of Plitvice Lakes accompanied by an expert guide. The Plitvice Lakes National Park Excursion by Romeo&Juliet Travel Agency is your chance to enjoy the wonderful Croatia from within. Private guide will lead you to experience intimately Upper and Lower lakes, by foot and by boat, right next to the lake or from the hills, in the cave and below the waterfalls, including the Big Waterfall of 78m high. You can BOOK your private tour to Plitvice Lakes online and make reservation for your best excursion!